After taking a long break from sprinting after my school years I started beach sprinting with my local surf club on the Norther n Beaches around 10 years ago. 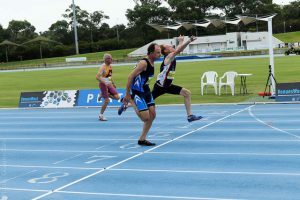 This led me into Masters Athletics and I have now been competing in 60m, 100m, 200m and 400m sprint events on the track for 3 years. I was pleased to medal in all 3 sprint events at the recent Australian Championships and am looking forward to competing in my first World Championships in Spain. It’s great to be with such an enthusiastic and friendly training group and I am looking forward to improving my race times with my training partners at Sprintforce Athletics.